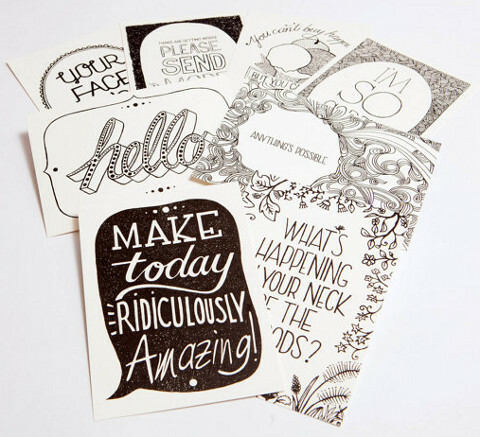 A pack of 8 beautiful postcards from local Etsy shop Postcard Happiness. Who doesn't love getting real post? Go on, send a postcard today! I love getting real mail... And i miss it too! Posticks!? What a great idea! Wish I'd thought of that one. I looove postcards.